Thinking of revamping your kids’ rooms? It’s amazing what a pop of colour and some playful designs can do, and what better way to do it than with Goosebumps’ new cot and kids’ bed linen? I am pretty picky when it comes to choosing new sheets and quilt covers, but this cute decor mixed with sprinkles of pop art has definitely won me over. Since we last showed you all the bright and colourful linen from Goosebumps back in December 2014, they have added to their collection. 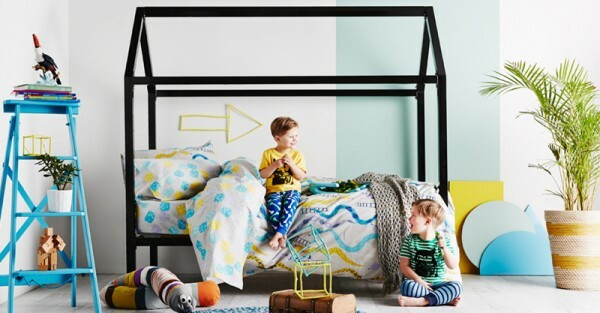 From cot to king size, their bed linen is 100 per cent cotton and is sure to bring fun and adventure into any room. 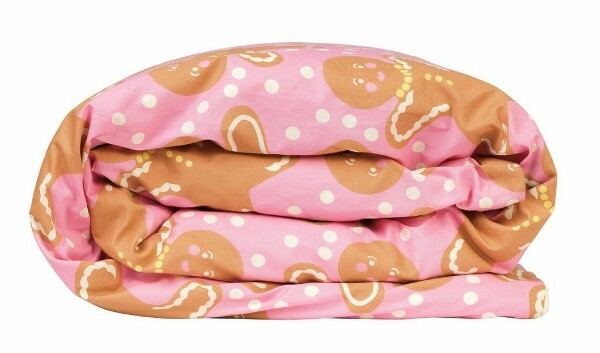 If you want to spice up the bedroom with something sweet then you’ll melt at the sight of the Gingerbread Girl Quilt Cover. This sweet reversible quilt cover will leave your little one dreaming of all things sweet – and waiting on the other side of this reversible cover, there’s a cheeky little fox ready to gobble it all up. The quilt cover is available in single ($149) and king single ($189) sizes. Take a trip down memory lane every time you tuck your little one into bed with this reversible Snakes & Ladders Quilt Cover, with vibrant snakes and ladders on one side and a fun dice print on the other. Based on the famous board game, the cover is also available in single ($149) and king single ($189) sizes. Something for the nursery? Goosebumps have you covered. Check out their Pop Rocks Cot Sheet. 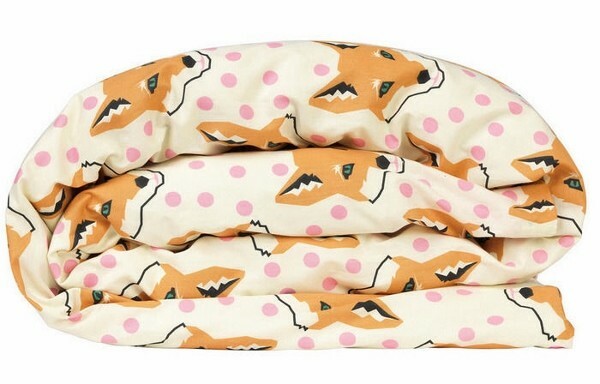 Priced at $49, it’s cute, bold, modern and would be the perfect touch to any little one’s bed. The collection caters to standard size cots as well as Boori cots. You can see the rest of their stunning range of sheets, quilt covers and pillow cases at Goosebumps, where delivery for orders over $250 is free within Australia.